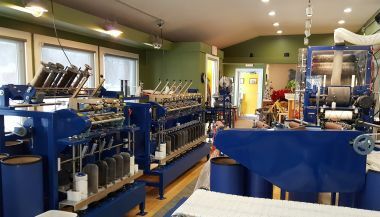 Custom processing of fiber into high quality batts, roving, yarn and felt. 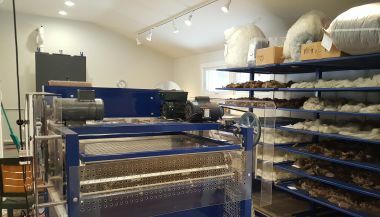 Mad River Fiber Arts & Mill is a full service fiber processing mini mill. Our new equipment is manufactured by Belfast Mini Mills, in Prince Edward Island, Canada. We can handle your raw fiber from washing through yarn and every step in between. We process all wool types, fine wools such as Merino, Cormo, CVM and Rambouillet to Icelandic. We also process alpaca, llama, mohair and angora bunny. 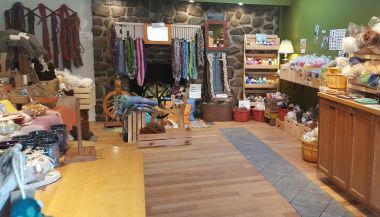 Visit our Mill Shop and check out our small batch yarns made here at our Mill from local Vermont and New England fleeces. Open 11:30 am to 4:30 pm. To celebrate we will have a special Fiber Riot! gathering in the afternoon from 2pm-4:30pm. Join fellow fiber friends in sharing ideas and getting the creative juices flowing. Bring whatever project you are working on: knitting, crocheting, spinning, rug hooking, you name it. We will supply the snacks. You don't want to miss this! News and events happening at the mill and around Vermont. Laine Magazine Issue 7 in stock!